I know everybody says that they “had the idea first” when something becomes super popular. But I really did. Ok, not FIRST. 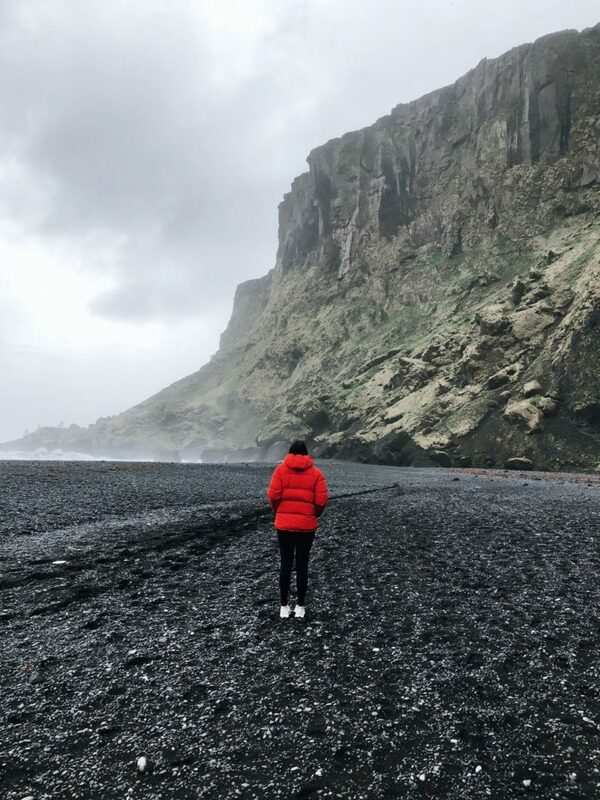 But I remember when I was living in LA (about 5-6 years ago), I read an article that said Iceland is a great place for women to travel alone. I had never heard of anyone traveling there, but I was totally down for that, and I put it on my short list. And apparently at that very moment, so did the rest of the world, and I didn’t actually get there until last month. 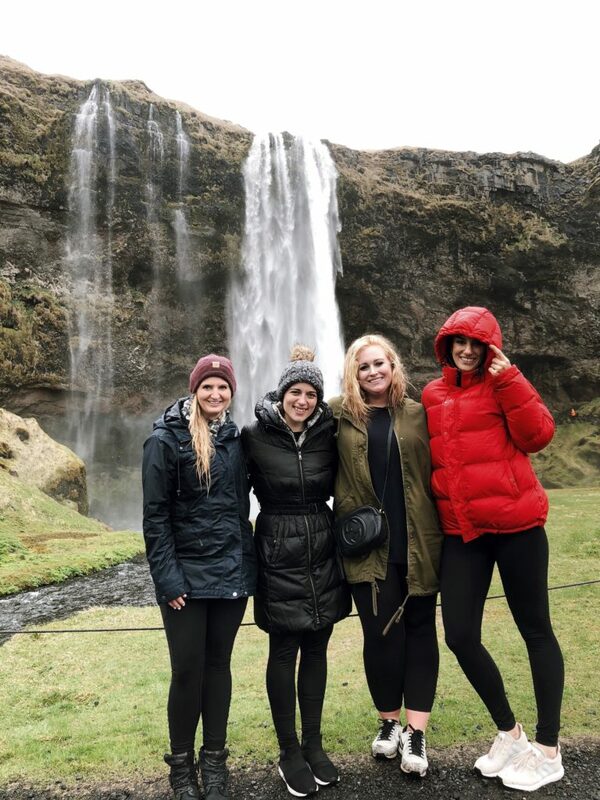 A few years ago, my best girlfriends and I were heading to Germany to visit another college bestie and we had a layover in Iceland and vowed to come back together on our next international trip. So without further ado, I won’t make this too fluffy. 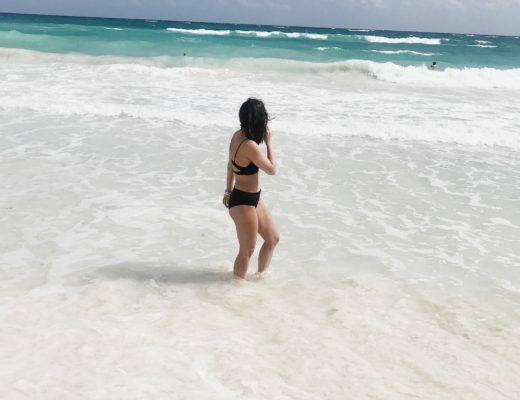 I’ll tell you what we did, what we loved, what I want to go back and do – I won’t tell you what I would skip because I don’t really believe that anything should be actively skipped when you’re visiting a place for the first time. Maybe you do something and say, “I don’t need to do that again,” but I would never take the experience away from you in the first place. AND I will also say that this should be treated as guidelines. 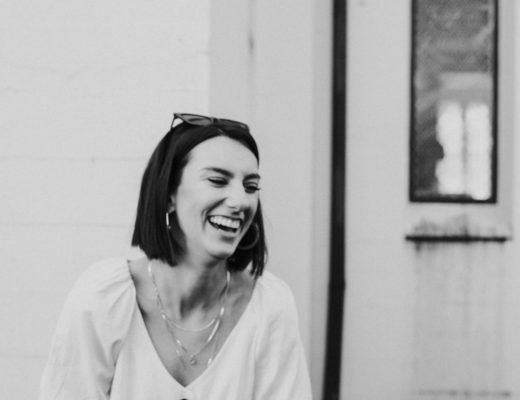 With so much at our fingertips on the internet, it’s easy to read a blog post or two from trusted individuals (thank you for allowing me to be one of those people), and take what they say as gospel and not venture off the path they’ve carefully carved out for us. 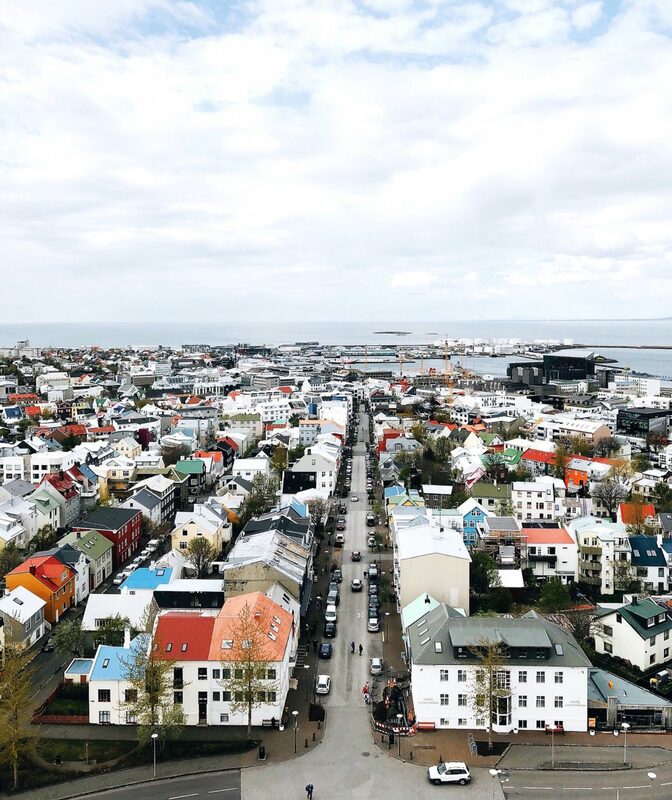 Before I went to Iceland, and even before I went to Charleston a couple weeks before that, I read blog post after blog post trying to find the perfect Insta-worthy restaurants, and all the must-see spots around town. And once I got there, I found myself walking past restaurants that looked really great, but that I hadn’t read about, and I immediately took that to mean something, so I didn’t go in, because I didn’t want to “waste” a dining experience on something that would potentially be mediocre. Don’t let social media take away the joy of spontaneously walking into a place and possibly having the greatest experience of the trip. Or better yet, the worst experience of the trip that produces the greatest story that you’ll tell everyone at home and laugh about forever. Travel is about the terrible stuff too. All of the resources we have these days are incredible and such a blessing. But don’t let them take away, what I think is the joy of travel to begin with; the joy of the unknown. Blue Lagoon: one of my favorite things we did. 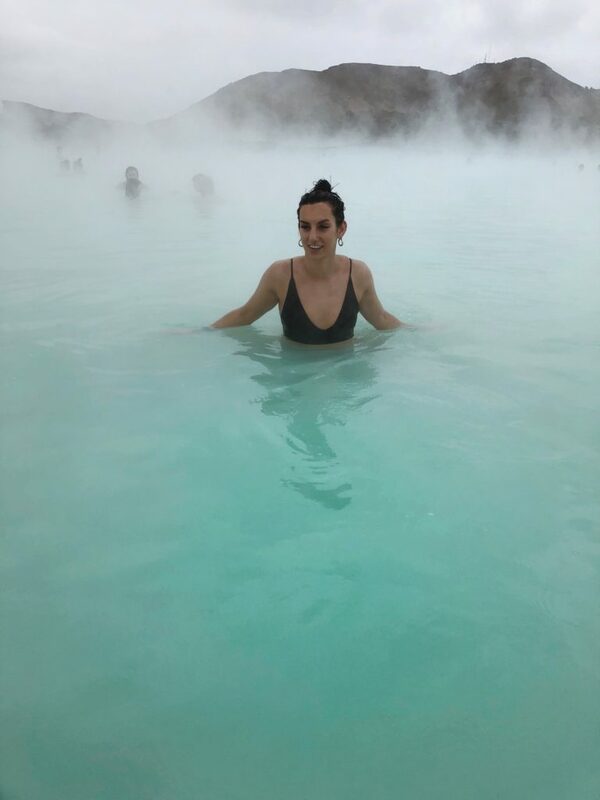 Our flight got in at 7am and we immediately went to the Blue Lagoon, which I highly recommend. It was great to just relax after our long flight and not have to worry about doing much. You have to make a reservation, so make sure you do that ahead of time – there are 3 package levels. Even with the lowest package, you get a mud mask, a drink in the lagoon, and a reservation at Lava, which I recommend eating at. Golden Circle: we followed this loosely. You can actually pay to take a guided tour to all the highlights, but we had a car and preferred to just see the things we deemed important – I recommend looking up where a tour would take you and seeing what you most want to do and just doing it yourself. 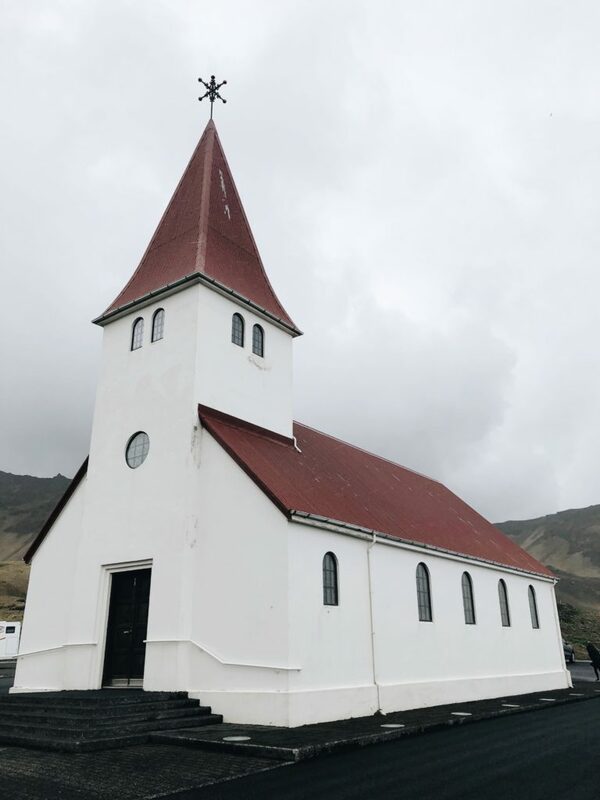 Vík: Cute little town on the south coast, home of the black sand beach, a great lunch spot (see What We Ate Section), and the waterfalls and things we wanted to see as part of the Golden Circle were on the way to (or back from) Vík. 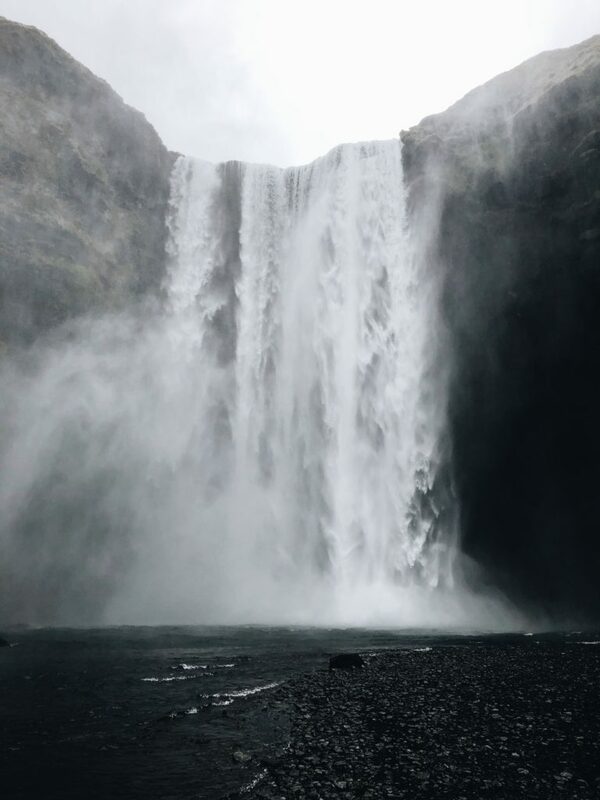 Skogafoss: beautiful waterfall on the side of the road. You can walk up to it and get photos, and there is a staircase all the way up to the top with a view looking down on the waterfall and across the countryside. 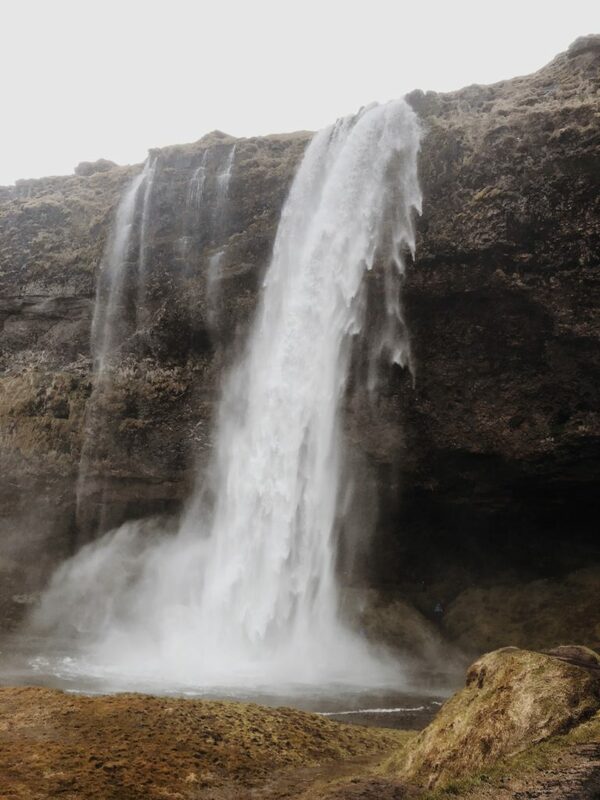 Seljalandsfoss: My favorite waterfall. It’s not as big as Skogafoss, but you can walk behind it (prepare to get wet), and there was something more dream-like about it to me. 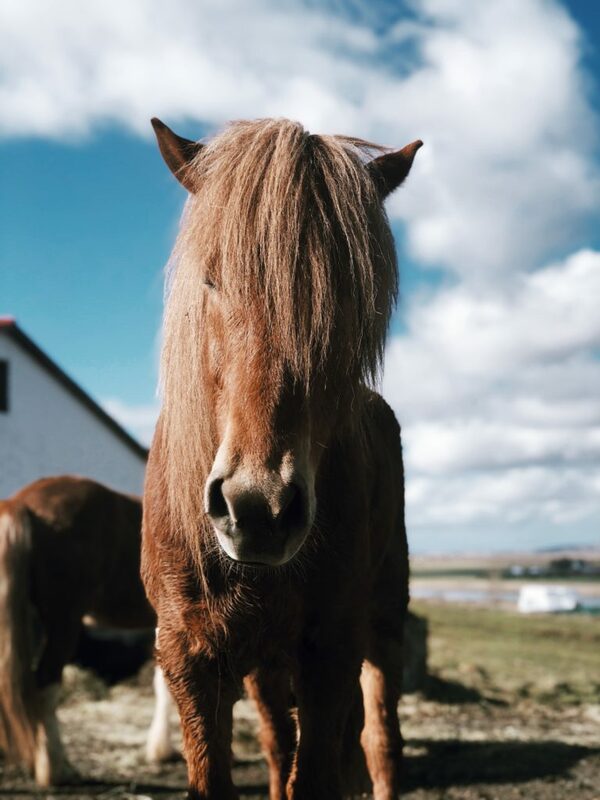 Icelandic Ponies: we stayed on a horse farm outside of Fludir for 2 nights (see Where We Stayed section), which was a fun little hour-ride around the farm that reminded me of Montana. You can do 1-hour, 2-hour, or even full-day or multiple-day rides, and I recommend staying on the property in one of their cottages. Riding Tours South Iceland. Geysir: (video below) This was a fun little pit stop near the horse farm. The big geyser goes off every few minutes (much like Old Faithful) and is a must-see if you’re in the area. Also a cute little lunch spot, gift shop area. Secret Lagoon: we didn’t actually go in, we just walked around it. It isn’t very secret, and it’s really just a giant public hottub, but worth checking out. Snorkel in Thingvellir National Park through tectonic plates: So so cool. We went through Dive Iceland, which I recommend over the others. They were very knowledgeable, made us feel very comfortable, and had dry suits, which are preferred when swimming through 36 degree water. It was a 45-min swim through the clearest, cleanest water in the world, in the middle of two tectonic plates that are slowly splitting apart. (You can also scuba dive). Highly recommend. Hallgrímskirkja Church: one of the most recognizable landmarks in Reykjavik. Worth a stop inside and a ride to the top for a great view of the city and the water. Phallalogical Museum: Yup. Just what it sounds like. It doesn’t take very long to walk through and is worth it for a shock and a chuckle. 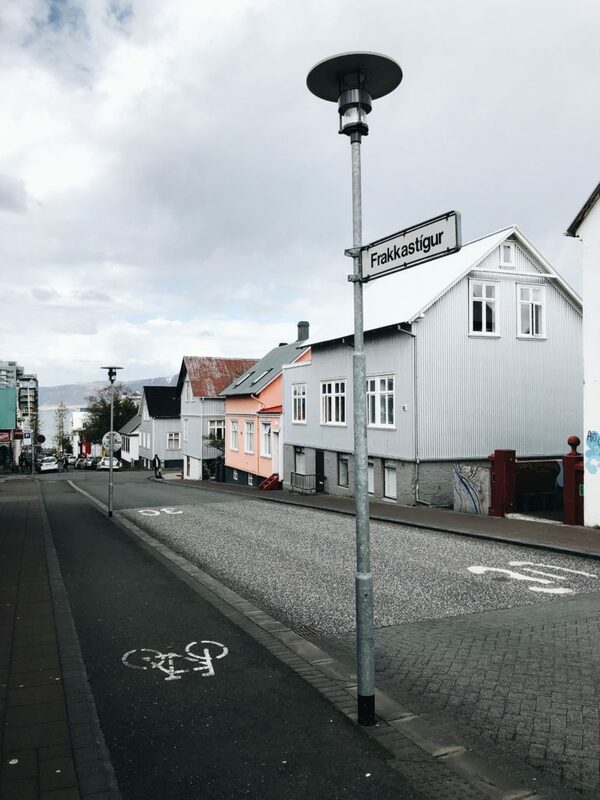 Lighthouse Village: the cute part of Reykjavik with all the restaurants and shops. Perlan Museum: above the city – there’s a free shuttle that leaves from the Harpa Museum down by the water, and will also pick you up. There’s an observation deck with 360 degree views of the city, and they recreated ice caves that you can walk through, which was fun to do since it wasn’t the right time of year to see the real thing. Photography Museum: self-guided, small – at the top of the library. It was fun to see some history, since we didn’t take any official tours that gave us that information. Lots of old photographs of the city and life in Iceland. Northern Lights Inn: we stayed here our first night, which isn’t right at the Blue Lagoon, but maybe a mile away. It’s a more affordable option for staying near the lagoon. We had a cute little room and an amazing meal in their restaurant. They will organize transportation to or from the airport for you. They also have a shuttle that goes between the hotel and the Blue Lagoon if you don’t want to walk. Cottage on horse farm with Riding Tours South Iceland: this was cozy and perfect for us. There’s a “hot pot” outside, 4 beds, kitchen, dining area, on the beautiful farm. 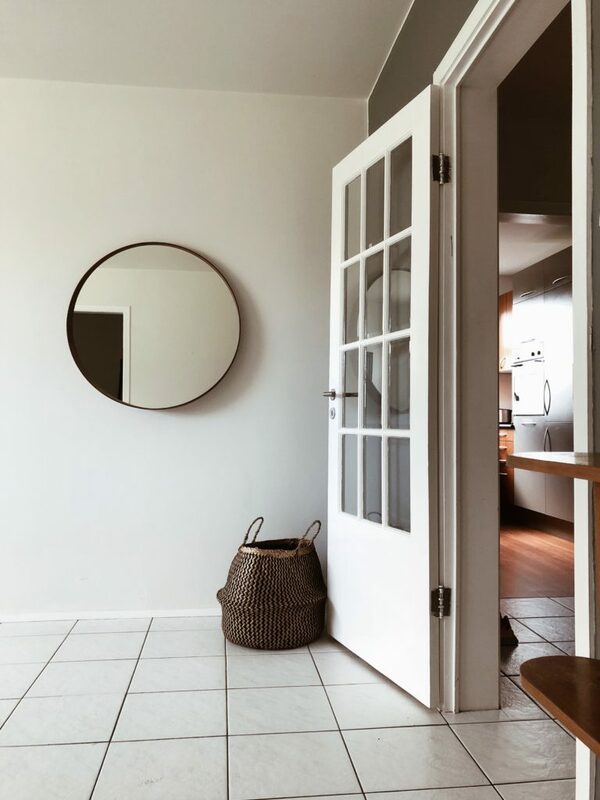 Apartment in Reykjavik: I LOVED the design of this place. Very Scandinavian design, plenty of room for 4 of us. It was about 2 miles from the main center of Reykjavik (30-min walk). It’s right next to the Grand Hotel, which makes airport transport easy, as well as a good landmark for getting back. Lava Restaurant at the Blue Lagoon: possibly the best bread of the trip and fantastic lobster bisque. Max’s Restaurant: At the Northern Light Inn. Really great dinner menu, and a great breakfast buffet for the morning. Sudur: lunch place in Vík, with surprisingly good panang curry. I also had a bite of my friend’s Arctic char, which I might order instead if I’m ever there again. 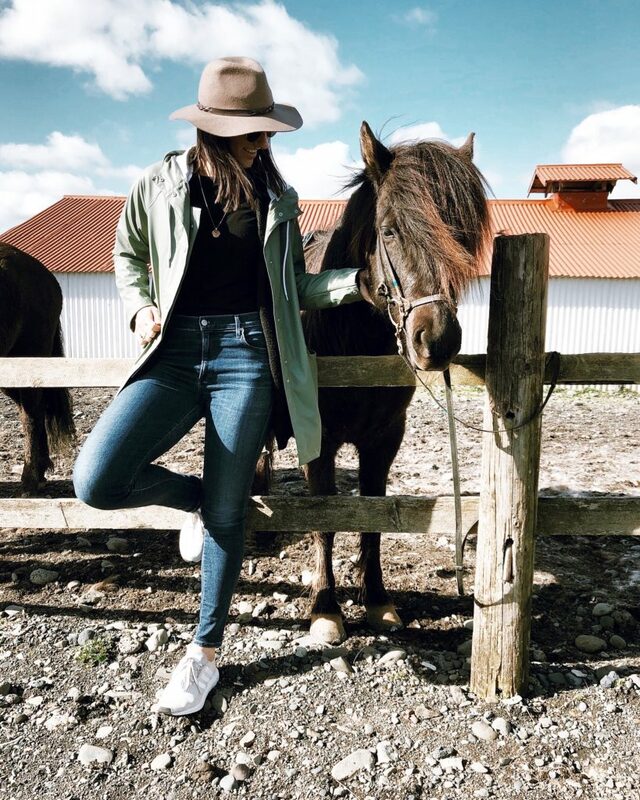 Fridheimar Tomato and Horse Farm: I can’t recommend this enough. 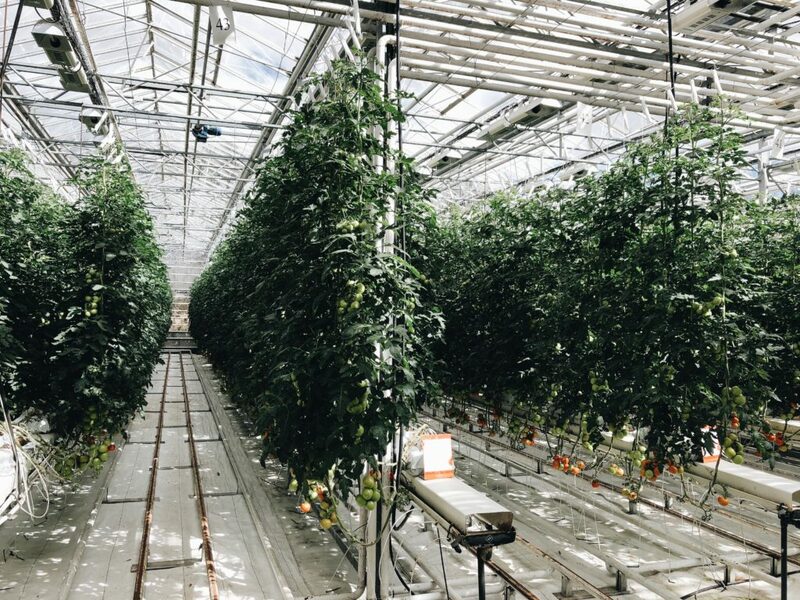 It’s a giant greenhouse where they grow tons of tomatoes. (Surprise surprise). 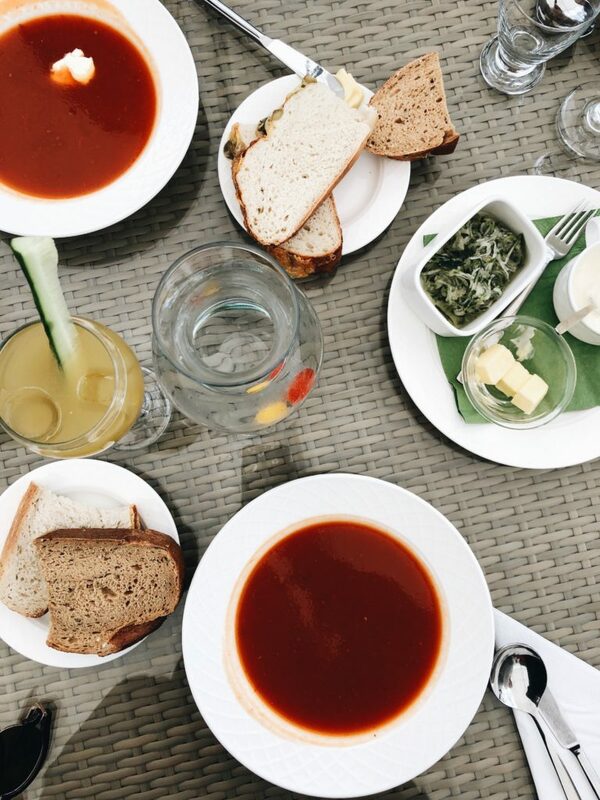 You can sit and have lunch and choose from a menu of 3 tomato-based entrees as well as tomato-based drinks (alcoholic and non-alcoholic), with a giant bread table and gift shop with everything “tomato” you can think of. 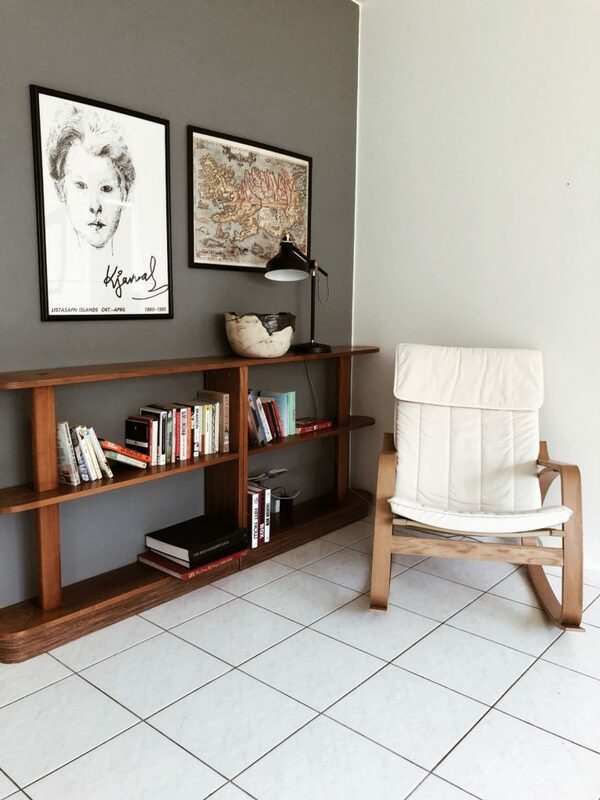 Steikhusid: Oh my god. Top 3 best steaks I’ve ever had in my life. 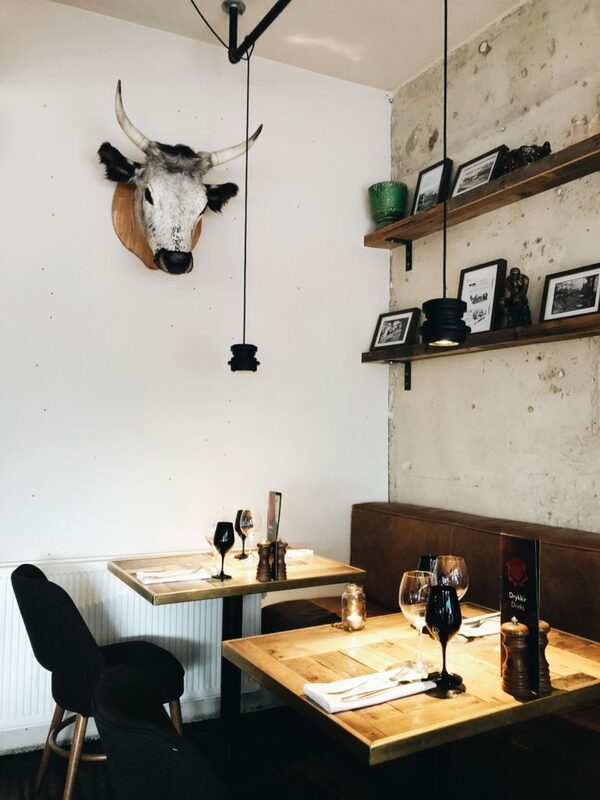 We were so pleasantly surprised by the quality of the food all over Iceland (I don’t know why we thought it would be sub-par), and this restaurant was a shining example. Isbud: Ice cream. There was a line out the door. It was a little intimidating because there were SO many options and it seemed like the kind of place where you have to know whats up to make the best of your visit, but you really can’t go wrong. We preferred the “new” ice cream to the “old”. It was more soft-serve, and I would recommend getting their “blizzard”. That’s not what they call it, but you choose which ice cream you want, and then you can pick from all of their (many many) toppings. 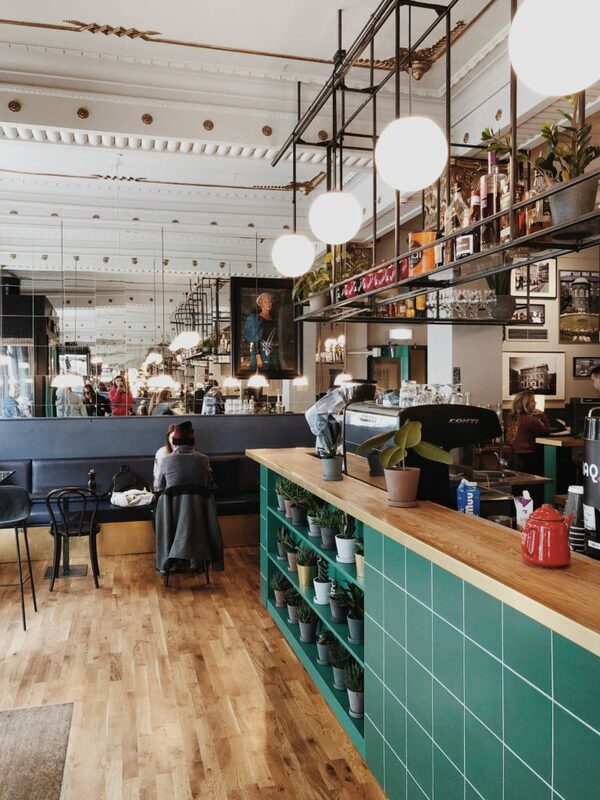 Egill Jacobsen: great spot for brunch, and great lattes. 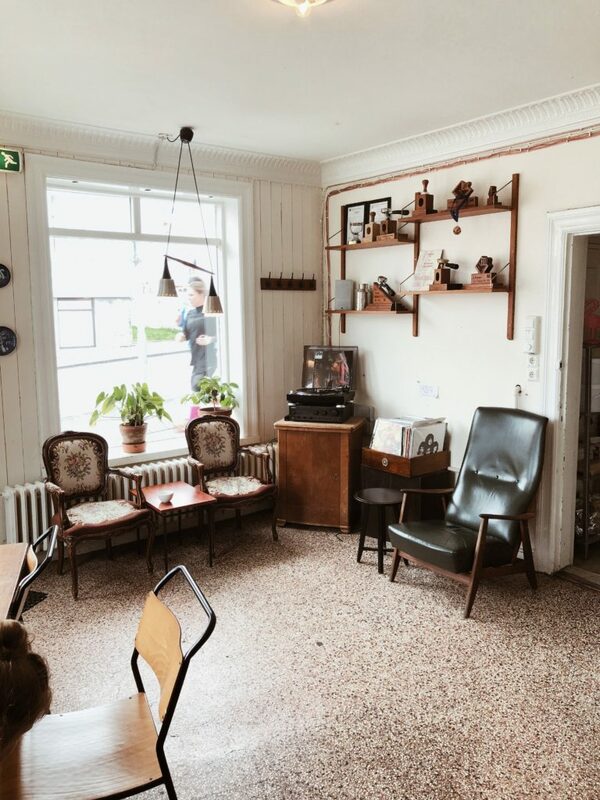 Reykjavik Roasters: Hipster-y coffee spot, another great latte, and a great place to sit and hangout if you have a few minutes. 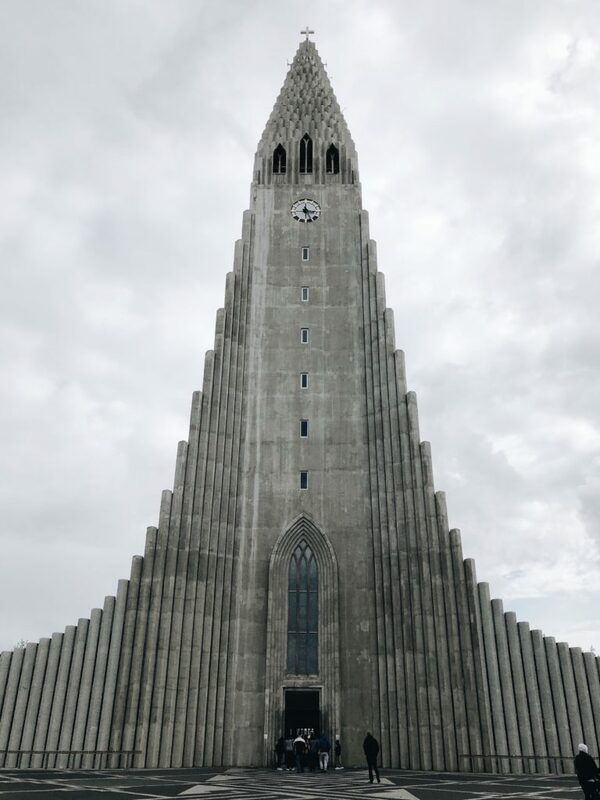 Just down the street from Hallgrimskirkja. Hot dog stand: Baejarins Beztu Pylsur: Bill Clinton, Chrissy Tiegen, Kim Kardashian, and many others have famously stopped here. Mat Bar: tapas – great food. We asked for an Italian recommendation and this is what we were given, and it was an amazing meal, but I wouldn’t necessarily send someone that direction if they asked for an Italian meal. El Santo: just down the block from Mat Bar – fun Mexican spot where we had a margarita and churros that were surprisingly top notch. Sandholt Bakery: (next to the Sand Hotel) with beautiful pastries with an area to sit and order breakfast, which was very good. I also got a croissant to go, and I’d go back just for that. Joe and the Juice: coffee chain that is apparently everywhere but Seattle. Nudluskalin: it was a little chilly on our trip, so stumbling on this noodle spot for lunch was a welcome surprise. Isbudin Ice Cream and Sausages: quite the combination. This was an ice cream place just like the other one, but this one was closer to our Airbnb. Sandhotel: breakfast. I forget what we ordered, but it was very basic. Rent a car. 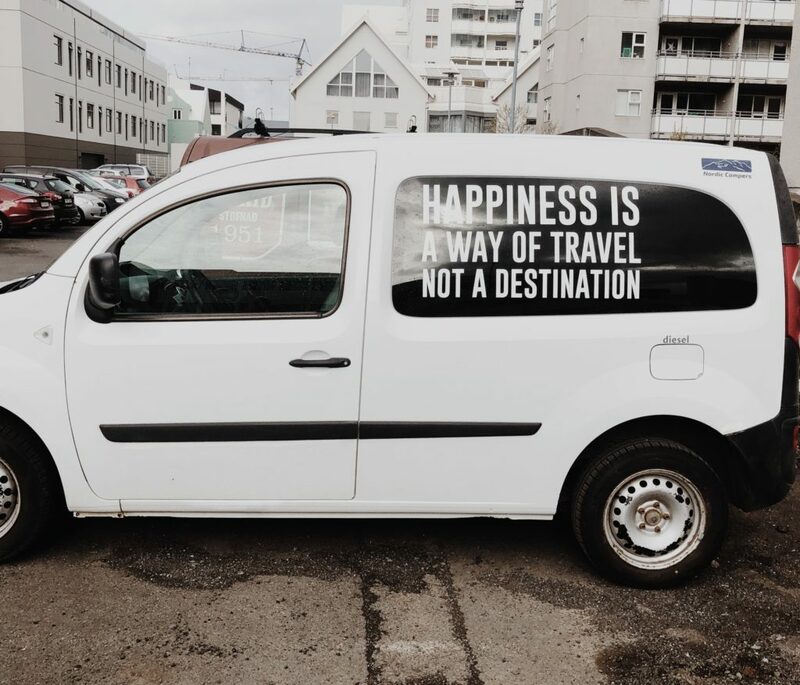 Unless you love guided tours, I recommend just renting your own car and getting yourself around – it’s very easy to navigate. The only thing you need to be aware of is weather during the winter months, and wind pretty much all the time. I’ve heard stories of rocks breaking windshields and wind ripping doors off of cars, but we didn’t have either of those issues. 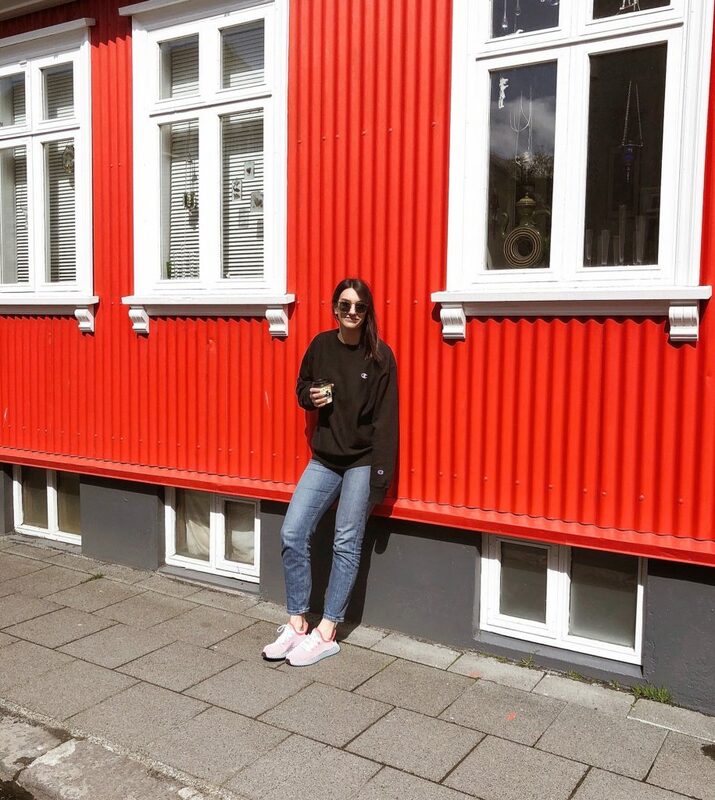 Don’t stay in Reykjavik too long. 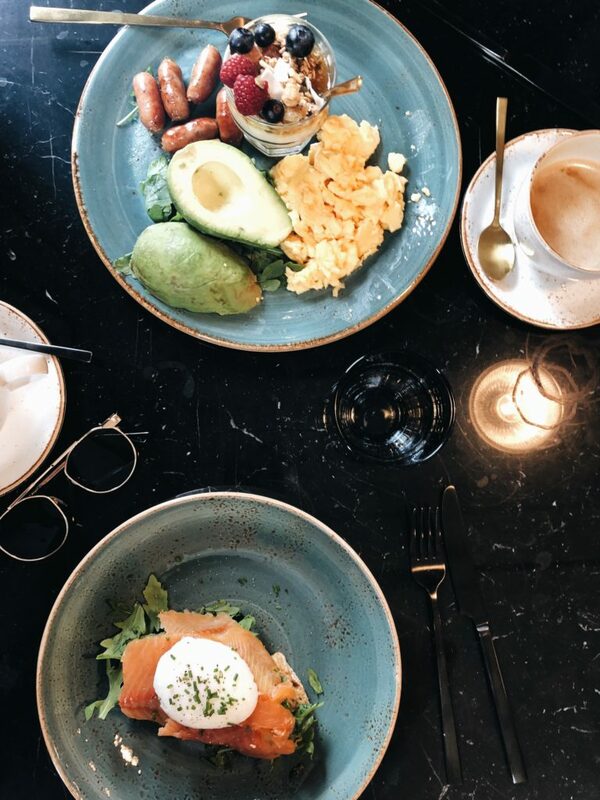 Don’t miss it altogether – there is amazing food and things you should definitely see, but those things can be seen/eaten in 36 hours. The whole country prefers credit card to cash. I don’t even know what their currency looks like. Things are more expensive. A drink was anywhere from 18-25 dollars. A 2 mile cab ride was 20 dollars. “Alcohol stores” close at 6pm. At least outside of the city. We wanted to get a bottle of wine once we got to the horse farm and the alcohol store in Fludir nearby was already closed. Everyone speaks English. I always like to know a few words in the language of the country I’m traveling to, and it’s easy to get around in Europe, but people in Iceland spoke more English than I’ve ever encountered overseas. In the summer months it never gets completely dark. If that is a problem for your sleeping habits, bring an eye mask. (This also means you won’t be seeing the northern lights this time of year). Grocery Stores we found for breakfast food, snacks, candy, and cheese with pepper (get the cheese): Kronan (Vik and Reykjavik) and Melabudin (I believe this was the other one we went to in Reykjavik). Northern Lights: we just weren’t there at the right time of year. Ice Caves: wrong time of year. 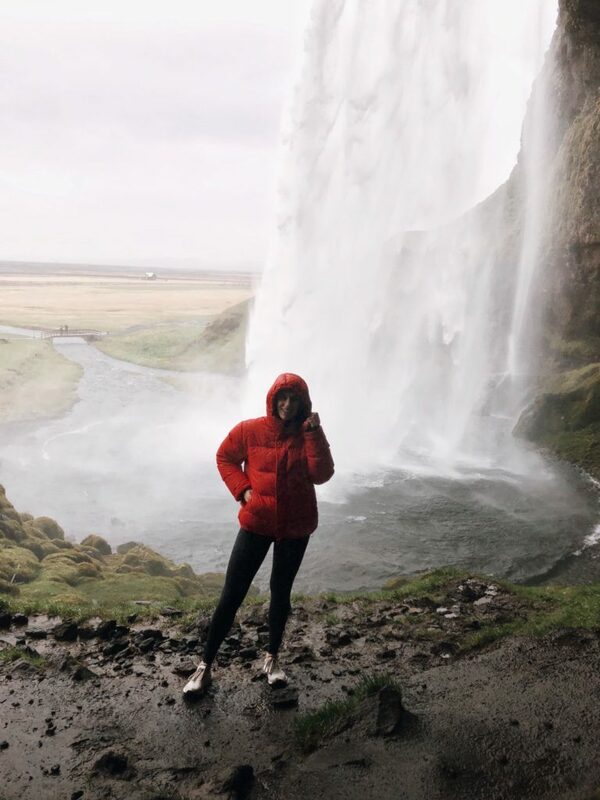 Happy Travels 🙂 If you do go to Iceland and refer to my blog post, let me know! It makes my day when someone tells me they referred to my blog as a guide for something; especially travel. And visit my Instagram @pumpsandplaid where you can see my Iceland highlight reel with more photos and videos of what we did. Oh I’m so glad! I hope you have an amazing trip!